Hey all, you probably know me. 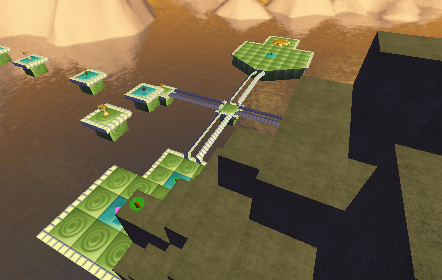 I make levels occasionally. Usually they're strange and just to interest myself, but occasionally I make something that someone actually likes (Did someone say Ring? Didn't think so). When that happens, I'll put them here. Director's cut level from PQ because it was "too hard" and "none of the testers can find a route" ... please. It's not that impossible. Decided to make a more traditional-style level with this one. There may be some path finding involved. 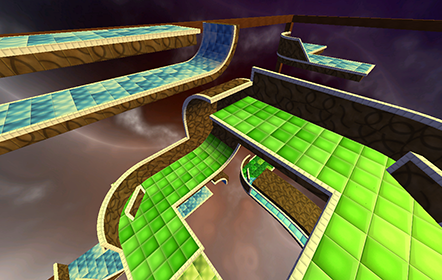 A set of two levels that I converted from the game Bugdom 2, these tubey levels make for great fun speeding around the bends. 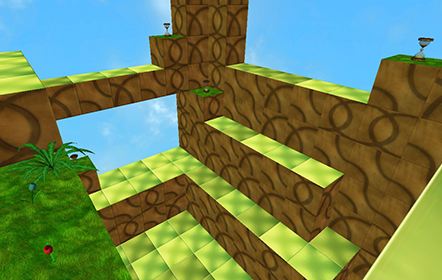 Included are versions of both levels with and without obstacles. Master the technique for rolling fast without jumping. Recommended listening while you play. Looks simple, but there's a twist! 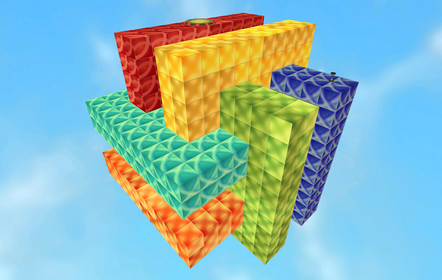 The center ring spins around in circles and you press against the wall to climb it. Always wondered how a level like this would work. Now I know. 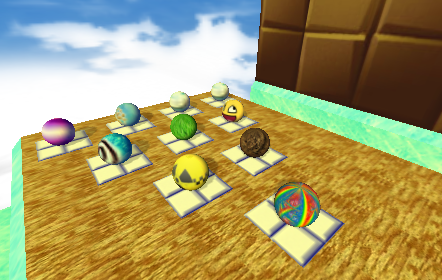 Had a few ideas for mega marble challenges and this just kinda happened one night. 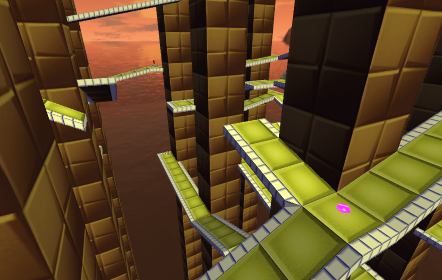 The level itself isn't too difficult, but some challenges may take some time to figure out. 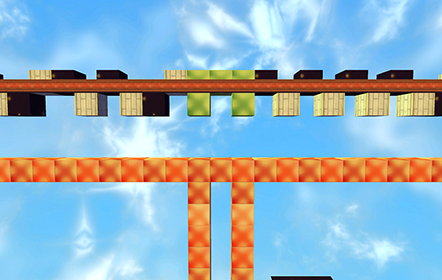 This level was made while I was testing out a new Constructor plugin for moving platforms. The plugin itself was never released (way too buggy, ruined a few of my maps actually), but at least we got this level. 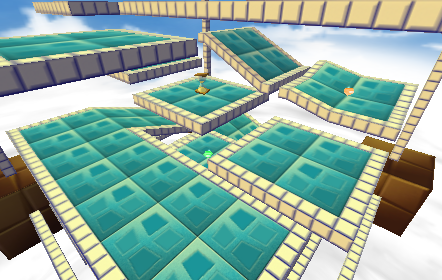 It features some interesting applications of running away from moving platforms. This is an expansion on the ideas of "Inside the Box", with some less obvious pathing. Added some more skill-based challenges but kept the short feel of the first one. The box model is interesting as it means pretty much all of these are tower-style. 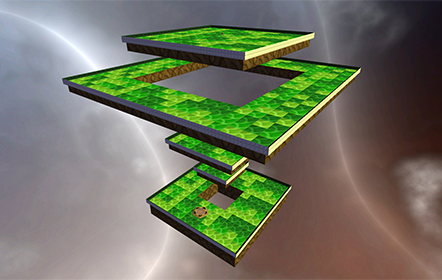 I tried experimenting and creating a level entirely within a small box, no overlap/protruding allowed. Ended up with a small tower-y level that's quick and easy to beat, but interesting to speedrun. ... I liked ring a lot. 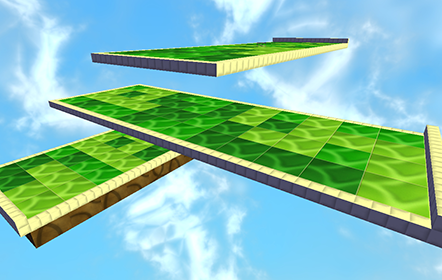 HiGuy released this level about 2.5 hours ago and told me the UT was pretty hard (his top time was 10.407). I had a 9.7x path before I found a second Time Travel, and then HiGuy mentioned there is a third one below a trim. The path used is identical to the 9.7x route up until the 2nd time travel, as the 9.7x route actually did a trim-wall hit to the 5th gem, and then jumped across + 1-2 jumps to the 6th gem and then finish. Incredibly hard. This route on the other hand is easy. ... You were one of very few who liked Ring. Also thanks and thanks for destroying my PB, totally needed that. ...wait a minute. I'm thinking about Jeff. Just released Inside the Box 2, updated first post for downloads. Very nice! I'll have to check it out sometime. 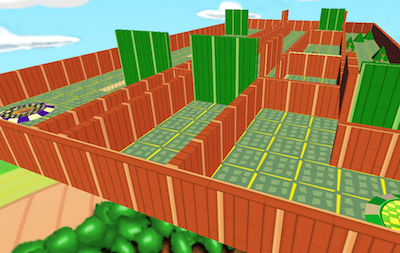 Released Aisles, a running-away-from-moving-platforms kind of map. Check the updated first post for the downloads. Last edit: 22 Jul 2015 05:08 by HiGuy. 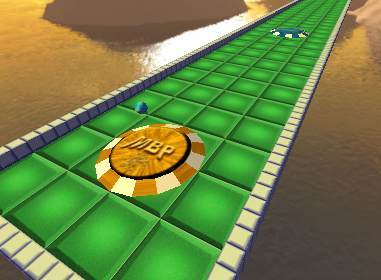 Released Bowling, a sliding, hitting-marbles-with-your-marble kind of map. Check the first post for the download, and good luck. That is a really cool level! It's really neat that you can get gems by knocking things out of bounds. I tried it once and got 02:56.742. Jump for joy. Ask Kalle to do it and get the ultimate time! That would be interesting to see how he does it. Awesome level! How did you make the marble be so big? 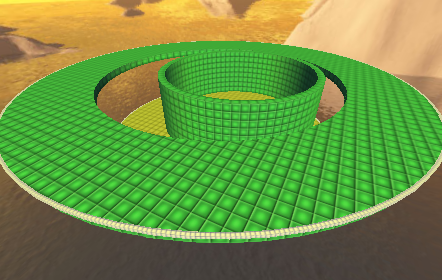 You can check the code at the top of the mission (it's kind of gross) but I essentially overwrite the marble's shape with that of the mega marble. In the future, there will be easier ways to change marble size, but that's the only possible way for now. Am I the only one who encountered this problem? Me. I'm feeling it too. Wonder if it's a windows-only thing. That's quite strange. I'll look into it in a bit. Just released Mega Course. Download here or in the first post. Last edit: 07 Sep 2015 19:57 by HiGuy. Ooh! It looks interesting! I'll be sure to check it out. 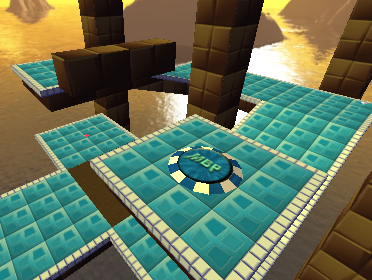 Just released Centripetal Party, download here or the first post. Last edit: 02 Jan 2016 00:44 by HiGuy. Aim towards the wall and hold W+A, eventually you'll rise up. It shouldn't de difficult once you get a feel for it. 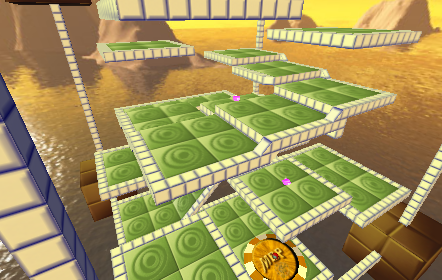 This community needed more weird levels, so here's Spin Disaster. Credits to Threefolder for reminding me to make this. How can you go fast when there's no way to jump? Recommended listening while you play. Released the Bugdom 2 Conversions: The Sewer and The Gutter after a few months of delay from showing them on my youtube channel. Wow, whenever I see a new post in HiGuy's levels, I always know that it will be something incredible and innovative. Way to go and keep making levels, despite how occasional they may be. After the string of weird levels I decided to make something more basic. This one was based off a rule of "all paths need to be next to a pillar" and just kinda expanded into a web of platforms that was kinda neat to pathfind. I thought it worked well, hope you enjoy it. Last edit: 11 Jul 2017 19:51 by HiGuy. Hey, I managed to solve that puzzle in real life! Last edit: 11 Jul 2017 21:51 by HiGuy. Why is it telling me to beat Gravity Tower's UT to play Gordian Knot? Oh I forgot to take out the unlock condition. Here I've updated the download now.